Leh: Even in Leh most mobile phones are of little use, since only BSNL and Airtel have their networks here. 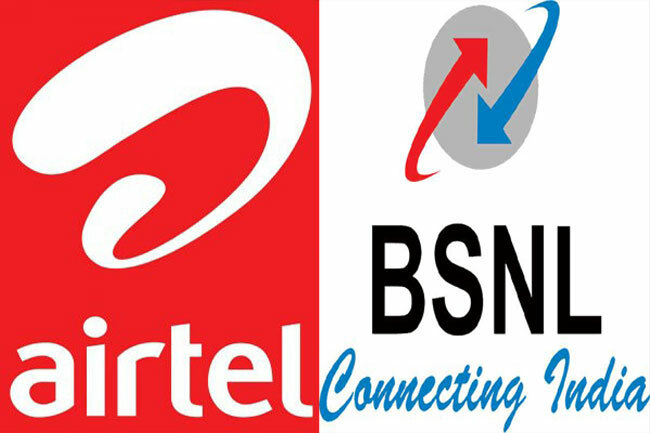 Postpaid mobile connections from these two operators and postpaid subscribers from operators who have roaming agreements with either BSNL, Aircel or Airtel can hope to use their mobile phones in Ladakh and Jammu and Kashmir. For the rest there are only two options, either buy a prepaid connection from either of the above-mentioned telcos or use the crowded phone booths. Coming back to the STD booths, well if you are going to use one especially near the main market or main road then be prepared to stand in line. Since Leh is headquarter for many of the army battalions posted in ladakh, there is always a sizable army presence in Leh. This means on most of the booths you will meet soldiers waiting in line to call home and talk to their loved ones. Nubra Valley: In Nubra Valley the only place you can hope to find a phone booth is in the town of Diskit. Apart from this the mobile network from BSNL works in Diskit, Hunder and Sumur. There is also an internet cafe in Diskit. Tso Moriri: Scene beyond Leh is even grimmer with Krozok (Tso Moriri) having absolutely no mobile or landline connections, not even an internet café. Though there is mobile phone network in Chumathang. Pangong Tso: There is no mobile or land line connection around Pangong Tso. However, mobile phone network does work during the day till Tangste with the tower being at Durbuk. There is also an internet cafe in Tangste. GPRS/Data Connectivity: At least as far as BSNL is concerned, data/gprs connectivity works almost everywhere its network is available. Though at times it can be painfully slow. There are reports that Vodafone post-paid subscribers can avail of network and data connectivity, this still needs to be tried out, especially at the furthest outposts from Leh. While any post-paid GSM phone on roaming should work up till Srinagar and Keylong, beyond it most mobile phones are as good as paperweights till the outskirts of Ladakh’s capital, Leh.